So, you think you’ve had a proper look at Vilnius but still feel adventurous and ready to explore something besides the capital? Or possibly you are still planning your holiday to the largest Baltic country and want to include the rest of Lithuania in your itinerary as well? Or there could also be a chance that you magically appeared on this undiscovered land and just feel like taking any random possibility on your way? Whichever the reason, I am here to tell you that Lithuania definitely has plenty to offer – enjoyable and splendid, full of medieval and modern history. Lucky for you, our country is not that big, therefore, the longest direct ride from one end to the other is only 4 hours. How convenient is that? So, are you ready to check out what Lithuania has to offer outside of Vilnius? Trakai is an unbelievably peaceful and quiet small town which used to be one of the most important cities during the medieval times. Trakai is rich in legends and history which makes you feel taken back in time. This is one of the reasons why the whole town is listed as a Historical National Park which, by the way, is the smallest national park in Lithuania. 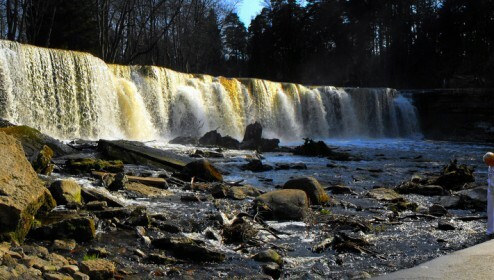 This state-protected territory stands out from the rest: it is centered around an ancient Lithuanian political center and also has a unique natural landscape to preserve. The gem of the town is the Trakai Castle Island, the most exciting tourist attraction. Presumably, the construction of the castle was begun by the Grand Duke Kęstutis and was concluded in the early 15th century by his son Vytautas. It was meant to be a fortress, and it has never been conquered by any invading force. In the 16th century, without the military and residential functions, the castle lost its importance and the visits of Grand Dukes became increasingly seldom. The Lithuanian Metrics that had been kept in the castle was moved to Vilnius in 1511, and the Island Castle became a prison for noblemen. The castle stands on a beautiful island, located on Galvė lake which is the source of many mystical legends and stories. And hey, be it rainy, foggy or snowy – I promise you can always take awesome pictures anyway, because the castle looks beautiful no matter the weather. Once you are in Trakai, it is a must to taste the traditional pastry kibinai, which has become a local specialty. This yummy snack costs around €2,5 and is made by the small ethnic community called Karaim who have lived in this town for more than 600 years. It is a great option for both eating at the place and grabbing it to go. 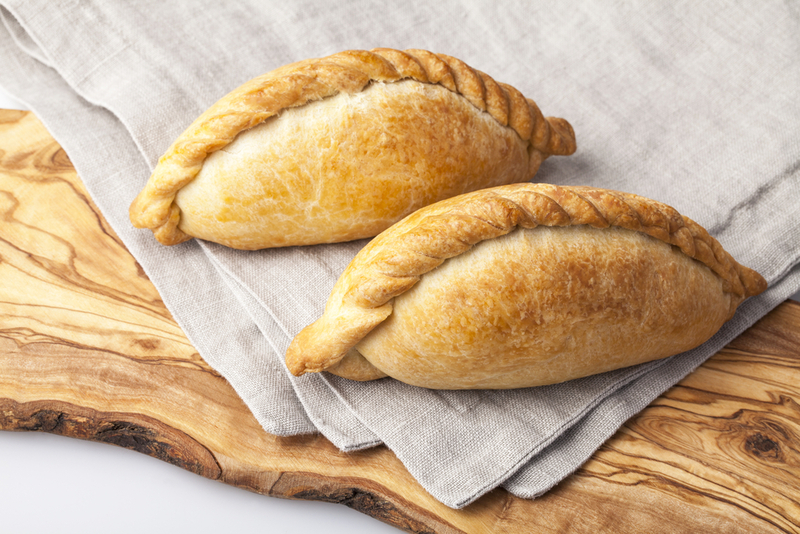 You can choose between various delicious options but the most popular is the traditional one stuffed with lamb, however, you can also get kibinai with chicken or pork. Vegetarians can choose kibinai with mushrooms, cheese and plenty of other vegetable options. There is no doubt that food is always a good way to get to know the local communities and cultures! Trakai is easily accessible from Vilnius by a bus or a train and it only takes about 35-40 minutes to get there. Both buses and trains leave quite frequently, return tickets cost around €3-4 and the stations in Vilnius are a 2-minute walk from each other. However, both stations in Trakai are further from the highlights – it takes approximately half an hour by foot, but the way itself is quite easy – go straight all the way and voila – you’ve reached the castle (entrance is €8 per person). If you wish to discover more than just the town of Trakai, a guided Day tour to Trakai and the National Park is a great idea. 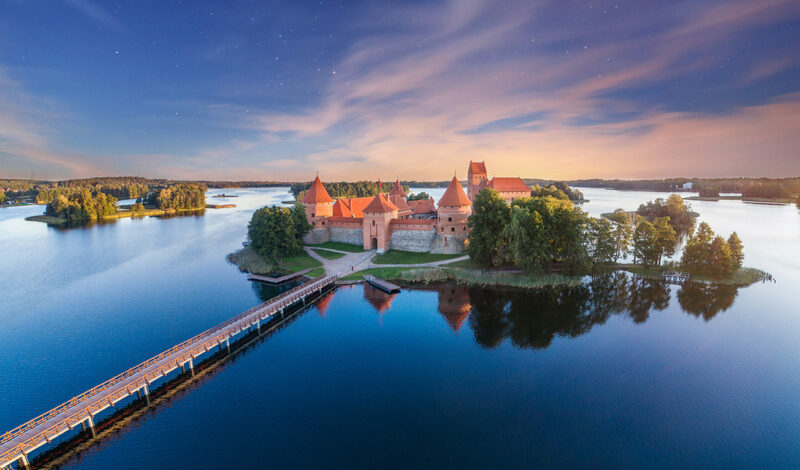 The tour takes you to Trakai but you will also see more of the national park around it, including the picturesque Užutrakis Palace and a beautiful bog walk. You can learn about the history and culture of this area from the point of view of a local guide who can answer all your questions and point you to all the highlights of the places. Plus, you don’t have to worry about the tickets or getting lost! Kaunas is the second largest city of Lithuania and is as vivid as Vilnius. The nightlife gets as fun as in the capital, but it takes way less time to walk from one side of the old town to the other, ‘cause it is smaller, but still very cozy and definitely worth seeing! So, probably you are wondering what is cool out there? Well, plenty of things! 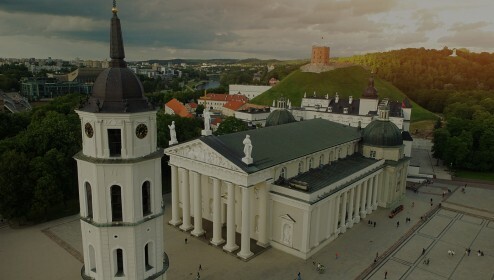 Check out the Pažaislis Monastery and the church of the Holy Mary Arrival, Aleksotas viewpoint which will let you see all the beauty of Kaunas: Old Town, Nemunas – the longest river in Lithuania, scenic hills and the northern part of the city. The Old Town itself is a must! In 1920–1939, Kaunas used to be the temporary capital of Lithuania. Therefore, it’s political, economic and cultural role increased rapidly. Kaunas Old Town rose like a phoenix from the ashes and became an attractive city for both locals and tourists. Art galleries, churches, Kaunas Castle, 20s and 30s-inspired architecture can be found there as well as many beautiful streets with small local cafeterias that are welcoming you no matter the time of the year. One of the best history-related museums in Lithuania is located a few kilometers away from the Kaunas Old Town. It is definitely worth your time if you are interested in Holocaust history. However, the first thing you see is not the museum, but the 32-meter monument from 1984. It is dedicated to the 30,000 Jews who were murdered here during the Holocaust and sits on the site of a mass grave. Ninth Fort was completed in the early 1900s as the final part of Kaunas Fortress – a huge defensive structure encircling Kaunas and encompassing around 65 square kilometers. It consists of an expansive, informative museum in two buildings and the remains of the fortress walls which can be explored. From Nazi genocide to Soviet atrocities, Lithuania has had its fair share of troubled history and this museum pays homage to the lost lives. Not a well-known fact, but in Kaunas you can visit the Chiune Sugihara house, who, while working as an ambassador of Japan in Kaunas, saved over 6000 Holocaust victims from death. By doing so he risked his career because he officially did not have the approval of the Japanese government. Ticket price for the museum is €2 and it is located a 15-minute walk from the train station. Alternatively, if you can’t make it to Kaunas, you can also visit the Sakura Garden in Vilnius dedicated to him (located next to Lukiškių square, on the other side of the river). It only takes 1 hour to get to Kaunas from Vilnius by train or bus. Trains to Kaunas leave 2-3 times per hour and buses every 10-15 minutes. So, catching public transport is not a hassle at all. Ticket price: respectively up to €6 (train) and around €7 (bus) for a one-way ticket. It takes around 8 minutes by foot to get from the Kaunas train station to bus station – this might help you plan your day. However, if you go from Kaunas Train Station to the Old Town, it might take more than half an hour, but you’ll be able to explore some streets on your way! Seems like there’s so much to see, but not enough time to plan everything in? 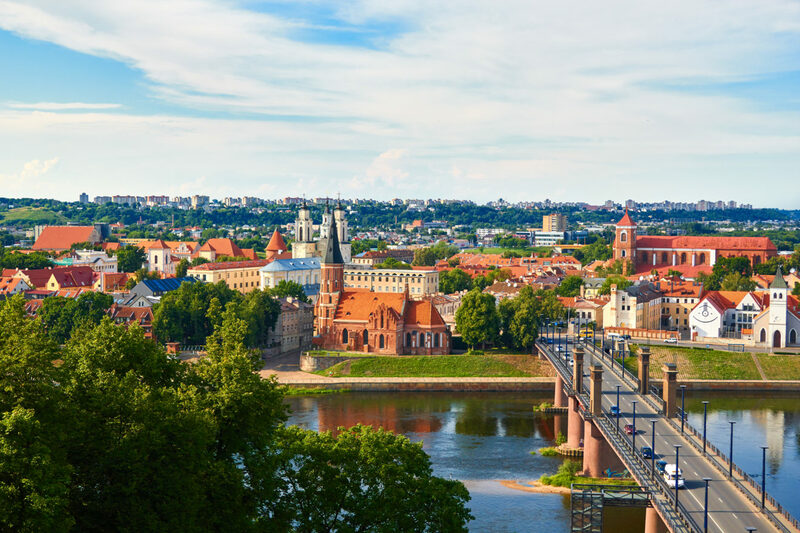 If you’re anyway heading to Latvia next, you can make Kaunas a stop on the one-way Vilnius–Riga sightseeing tour. This road trip style guided transfer includes stops in Trakai, the one and only Hill of Crosses, and other awesome places in both Lithuania and Latvia! The great part is that in 12 hours you will discover the two neighbouring countries with a local guide who can give you all the insights into the history and culture of both. 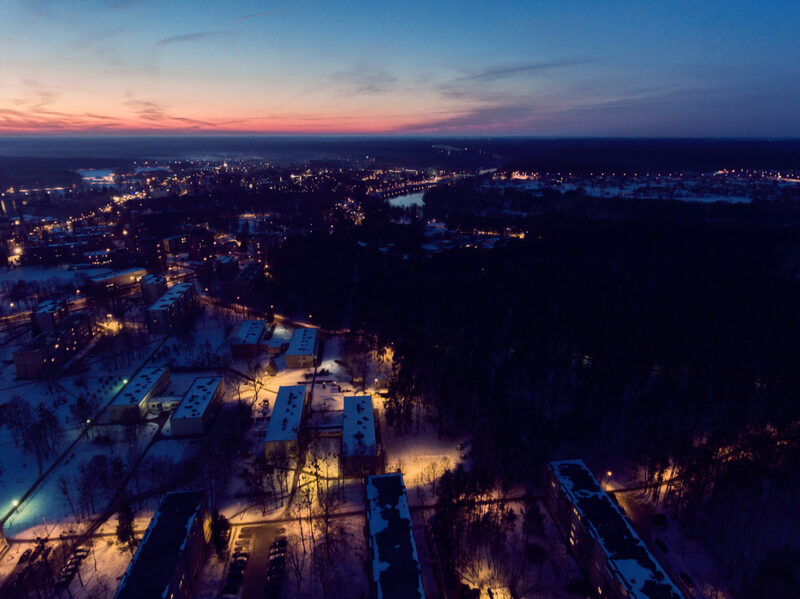 If you feel like having some time off, a great place to relax would be Druskininkai – a well-known spa and mineral water town that has been a resort since the 19th century. Here, you can definitely find a perfect spa for yourself. The area is covered mostly by pine trees, therefore it’s a great place to freshen the lungs and spend some more time in a town which is covered by nature. Moreover, Druskininkai has a number of parks, art and history museums and galleries. If you are looking for some fun – Druskininkai Aquapark is a must there. You can have some adventure time by trying the cable car, which, by the way, does not pollute the environment, and enjoy the spectacular view from the “bird’s eye”! You will be reaching the height of 45 meters in around 10 minutes. During the journey, you will be able to admire the beautiful forests of Druskininkai, the twists of Nemunas River and a wonderful panorama of the city. That’s definitely entertainment for both adults and children! 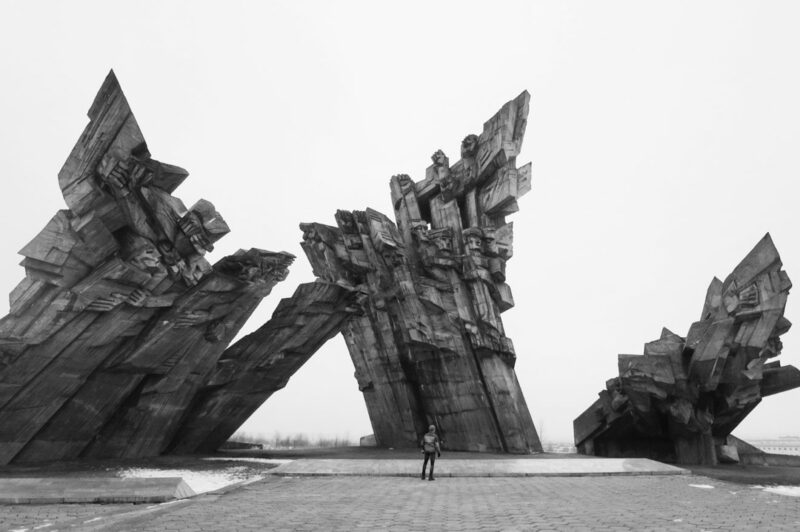 If you are specifically interested in the Soviet history – Grūtas park is a unique opportunity for you! 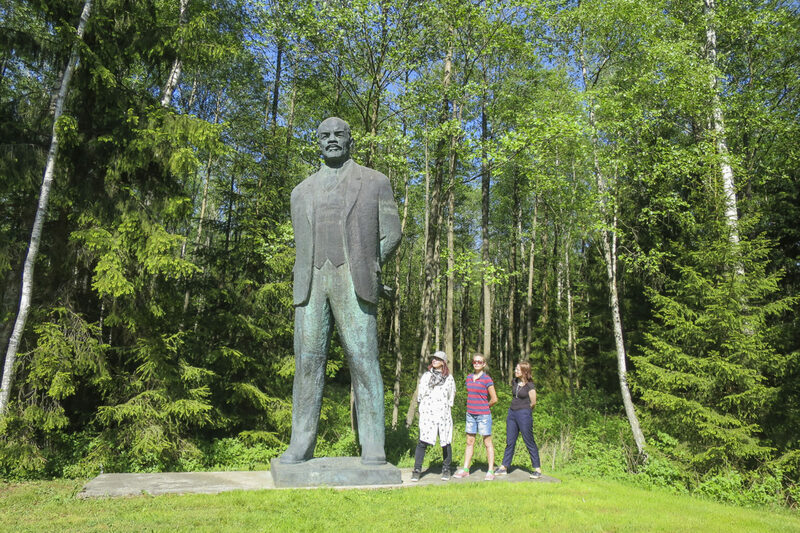 Located 5km away from the city center (40min by foot) The Grūtas Park exposition dissects the Soviet ideology and its impact on people’s value system. The aim of this exposition is to rip naked the propaganda system that used to suppress and hurt the spirit of our nation for many decades. Located on the Nemunas River in southern Lithuania, it takes 2 hours by bus to reach this beautiful town. However, buses do not go that often, so it might be a bit of a challenge to arrange everything, plus the distances from one place to another takes some time, so make sure you have everything planned beforehand or consider renting a car. Take an organized Druskininkai & Grūtas park tour that guides you through the most important places in Druskininkai and the surrounding county, such as Medininkai Castle and the Pavlov Republic. Joining a group takes out the hassle of inconvenient distances and allows you to pack more sights and activities into the day. The great part is that tickets of Grūtas National Park are included in the price as well as the great company of an entertaining guide who can share the most interesting facts about Druskininkai and the wittiest oddities of Lithuania. Want to see something so different that makes you ask just “H O W?“, something that you would not find anywhere else in the world – then the Hill of Crosses is a must! This unique place is 12 km away from Šiauliai, the 4th largest city of Lithuania. I bet you won’t find another place on earth with so many crosses as in this small space. 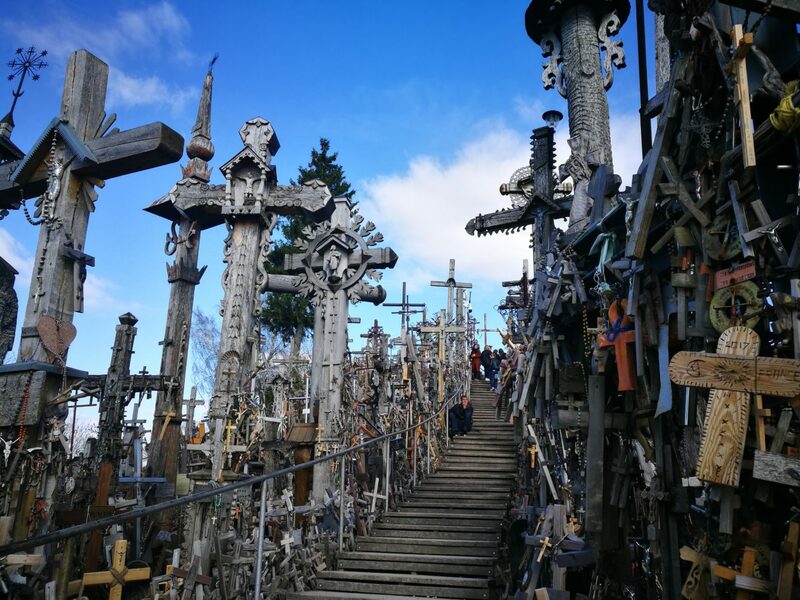 Included in the UNESCO World Heritage list, the Hill of Crosses features more than 100 000 differently sized crosses made out of various materials such as wood, concrete or metal. Despite the fact that officially Lithuania does not have a national religion, there is no doubt that in reality, it’s pretty Catholic – 77% of Lithuanians consider themselves Catholic. Full of legends and interesting spooky stories, this place also stands for the stubbornness against the Russian Empire and Soviet repression times. Not to mention being an important pilgrimage site. September 7, 1993 marks a very important day for all Lithuanians since pope John Paul II visited the Hill of Crosses. Also, many important Catholicism-related events and services are held here. Get a bus or a train from Vilnius to Šiauliai. It takes less than 2,5 hours to get there and the prices are up to €15 one way. The Šiauliai bus and train station are located about 1 kilometer from each other (10 min by foot). Take a ŠIAULIAI–JONIŠKIS bus from Šiauliai bus station (usually it stops at the platform no 12). Get off the bus at the 3rd stop (the name of the bus stop DOMANTAI). It takes less than half an hour to get there. Walk 2 km following the signs for “Kryžių kalnas” till you see the hill covered by thousands of crosses. Seems like to much of planning or too much walking? Then make it a stop on your way to Riga, Latvia with the one-way guided Vilnius–Riga tour. Considering the hassle, this is the best possible option! The Baltic countries are so small that most travellers opt for seeing all of them anyway and not only will you be dropped off right by the Hill of Crosses, but you’ll also see many beautiful places such as Kaunas and Trakai Castle. Also, the interesting stories about this unique place are what adds a whole new perspective to any visit. So, if you want to have a more relaxed holiday, with an organized tour you can leave looking at bus timetables aside. The town that became famous for its legends and poems written by the greatest Lithuanian poets is a peaceful place for nature and history lovers. Visit beautiful parks and pinewoods, try a unique tourist attraction Medžių lajų takas (the Tree Trail), taste the water from two natural springs that are next to the Daumantai exposure and enjoy the magnificent view from it. Anykščiai is the best place for letting go of all your troubles. Even though Lithuania is a beer country, Anykščiai is one of the few places where you should try wine instead! In the city, you can visit some historical and ethnographical museums such as Arklio muziejus (the Horse Museum) which will give you a better understanding of Lithuanian agricultural history and importance of field and horse works. 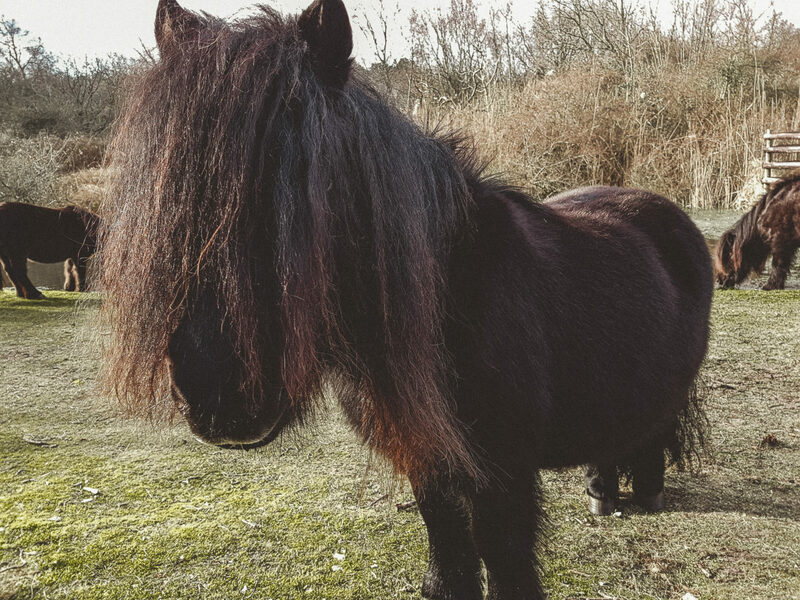 You’ll find antique carriages, shining armors for horses, tillage machines, blacksmith tools and many many other things that you will be able to try out yourself! 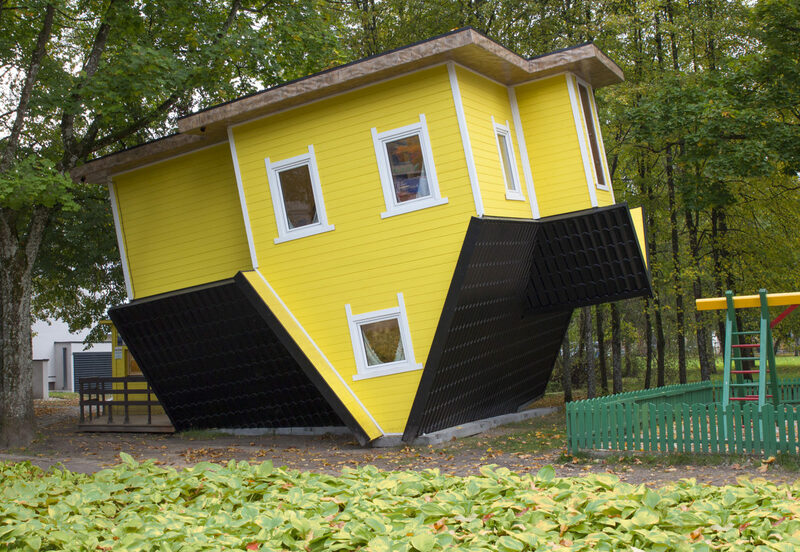 Lose the sense of gravity in the inverted house! If you are looking for something unique and entertaining for both children and adults – try to visit an inverted house which gives you a chance to make some crazy pictures and lets you feel slightly lost in space. And it is friendly to your pocket – tickets costs only €2 per person! 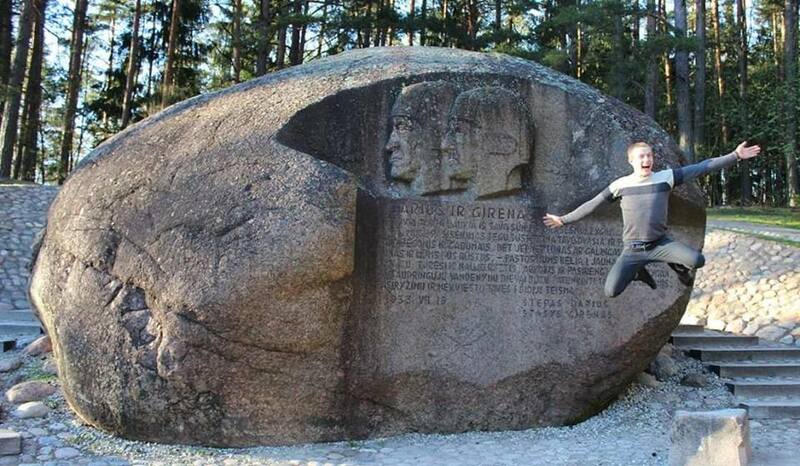 And last but not least, 5 km away from the town you can find ‘‘Puntukas“ – the second largest boulder in Lithuania. From 1943 it has engraved portraits and quotes from last wills of Lithuanian pilots Steponas Darius and Stasys Girėnas for the 10th anniversary of their deaths during the first transatlantic flight on an airplane “Lituanica”. Also, you can learn about some local legends of how the boulder was brought here by the Lithuanian mythological creature Velnias (devil). It can easily be reached by bus from Vilnius in about 2,5 hours. Check the bus schedules here by simply typing your departure and arrival stations. A bit more time for Lithuanian history! Even though Vilnius holds the title of capital for 700 years, before that Kernavė was the first capital of Lithuania. This beautiful place was first mentioned in 1279. Nowadays, less than 300 people live in this small town, however, many people still come to visit it. You should not miss the unforgettable scenery that could be seen from Baltasis kalnas (the White Hill) which is located in the Cultural Reserve of Kernavė. Also, don’t forget to visit the beautiful local Gothic church. 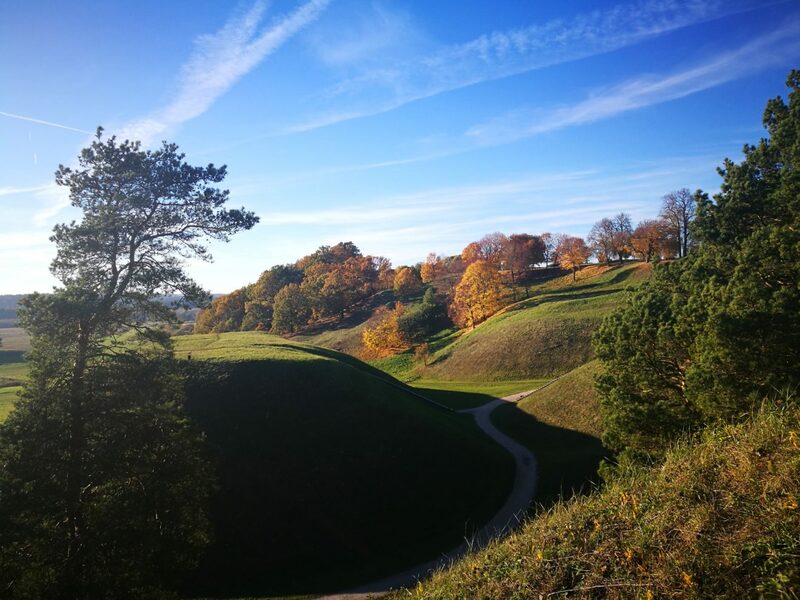 The most important reason to visit this place is the complex of 5 mounds of Kernavė which is a part of an archaeological site (Cultural Reserve of Kernavė). Lithuanians are proud of it not only because of its breathtaking views and legends but also because since 2004 it belongs to the UNESCO World Heritage list. The surroundings and their elements demonstrate the 11,000 years of continuous human use – you will find ancient settlements of Kernavė, a cemetery and the old town of Kernavė as well as the numerous other sights up to the 20th century. It is very close to our capital! Located only 35km from Vilnius it takes only 1 hour by bus which goes back and forth more than 6 times a day. So, jump on a bus and let’s go! The place is best known for its excellent open-air ethnographic museum which is also one of the largest in Europe (it stretches across the area of 195 ha). 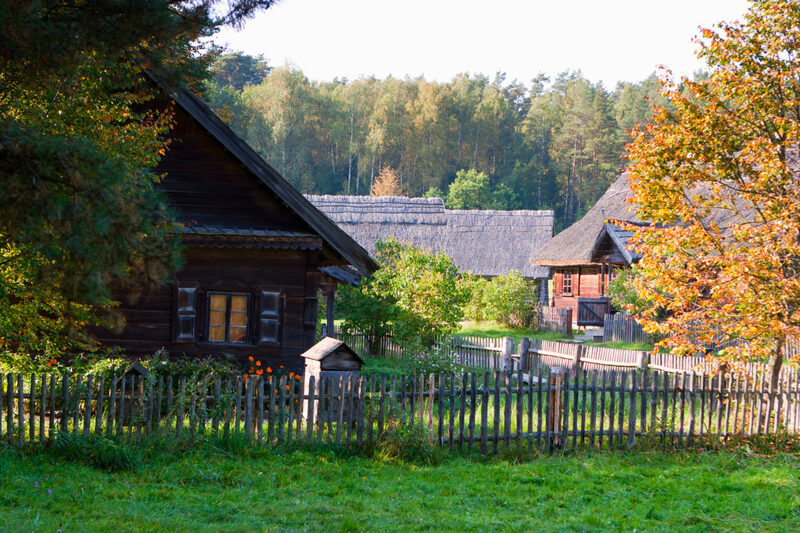 The buildings are set up as farmsteads and together they represent the main ethnographic regions of Lithuania: Aukštaitija, Samogitia, Dzūkija and Suvalkija. Each has the homes, barns, granaries, stables, and mills characteristic to the area. They all have unique restored interiors with ancient Lithuanian household furniture, utensils, and home decorations. Some buildings are equipped with workshops, presenting the ancient Lithuanian handicraft works, showing how the tools were made and antique farming implements were used. Every year the museum holds more than 15 events. Such celebrations make the exhibitions come to life and create a more immersive experience of the long gone past. Did somebody mention food? Yes, please! Pacify your stomachs with traditional Lithuanian food and drinks – the territory has a couple of taverns and tea rooms around. Would not mind staying a night there? There is a unique possibility to book a historic-style hotel room and experience the 18-19th century Lithuanian countryside living. It takes one hour (80 km) by bus to get from Vilnius to Rumšiškės. You can check the schedules here. However, they are in Lithuanian, but you can still easily understand that the first column stands for departure and arrival times and the rest of it is just additional information. If you like hitchhiking, you can ask to be dropped off on the side of the road near Rumšiškes (it takes 1,8 km to reach the open air museum from the main road). How about a quick day trip from Vilnius worth mentioning to all your friends back at home? How often do you get a chance to be right at the geographical center of Europe? Well, this is pretty easy when you are staying in Vilnius as it located less than 30km away. 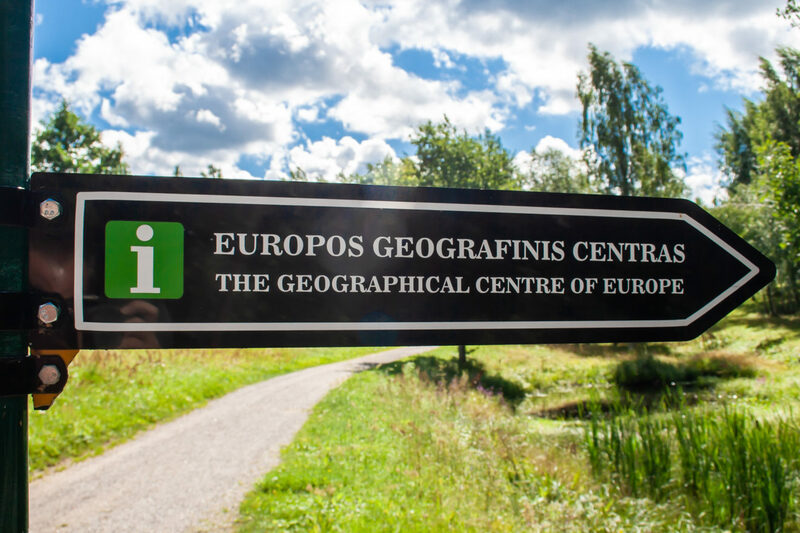 A number of locations call themselves the geographical center of Europe due to using a different method for defining it. There is also no one definition for the boundary between Europe and Asia. However, in 1989, scientists of the French National Institute of Geography declared that the geographical center of Europe, according to the coordinates, must be in Lithuania. Decorated with a composition dedicated to the accession of Lithuania to the EU, the place is marked with a white granite column topped with a crown of stars. The great news is that all the visitors can get a special Certificate that they have visited the Geographical Center Point of Europe. Don’t miss the chance to get it for free! You can get there by bus from Molėtai bus stop at Santariškės roundabout (bus Vilnius–Paberžė). The driver will stop at the Geographical Center Point of Europe at request. You can also take an express bus (Vilnius–Radžiuliai) from Vilnius Bus Station, platform 32. It takes about 30 minutes. 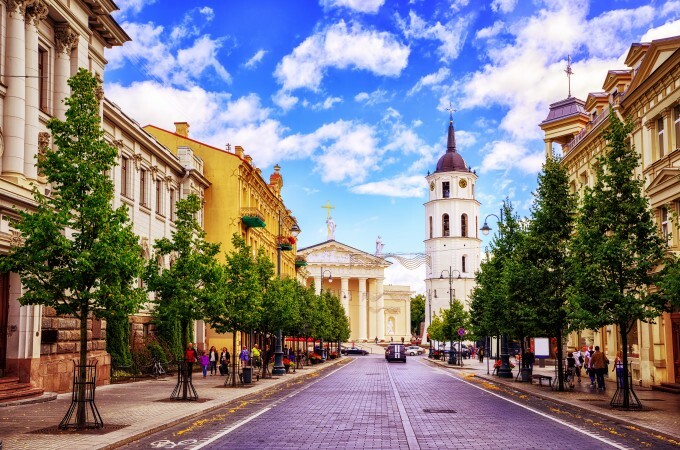 When visiting Lithuania, of course, Vilnius is the place that gives you a chance to discover centuries of Lithuanian history – from Medieval to Baroque, from glorious times of the Great Duchy of Lithuania to the very modern nowadays life. There are definitely numerous things to do and see but that is not all that Lithuania has to offer. Getting to know the real Lithuania and its culture means you have to get out of the capital and go to other places or even the countryside. After seeing both Vilnius and some smaller towns, discovering the nature, trying some local food or having a conversation with a local person, you can truly say you get acquainted with Lithuania.